Born in Jackson, Mississippi in 1934, Henry Thomas Sampson, Jr. is a prolific inventor and pioneer in the field of nuclear engineering. Sampson is also a pioneer in the technology that is used in modern cell phones, but contrary to a widely held belief, he didn’t invent the cell phone. The eldest child of Esther and Henry T. Sampson, Henry, Jr. has a younger brother named John. After graduating from Lanier High School in Jackson, Mississippi in 1951, Sampson attended Morehouse College, an HBCU (Historically Black College and University) in Atlanta, Georgia for two years. He later transferred to Purdue University in Lafayette, Indiana and earned a B.S. degree in chemical engineering in 1956. Sampson continued his studies and earned an M.S. degree in chemical engineering in 1961 from the University of California, Los Angeles (UCLA). He continued his graduate studies and pursued a doctoral degree in nuclear engineering from the University of Illinois at Urbana-Champaign. In 1967, he became the first African American in the United States to earn a Ph.D. in nuclear engineering. Sampson has held many important professional positions during his prolific career. After earning his B.S. degree in chemical engineering, he accepted an appointment as a research engineer with the U.S. Naval Weapons Center in China Lake, California (1956 -1961). After completing his Ph.D. in nuclear engineering, Sampson accepted a position as a project engineer with the Aerospace Corporation in El Segundo, California. He held the post from 1967 to 1981. He was later appointed Director of Planning and Operations for the Aerospace Corporation (1981 -1987) where his research team focused on the powering and launching of satellites. Sampson is a prolific inventor who holds several U.S. patents. 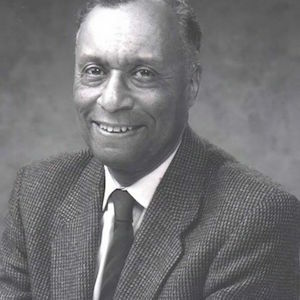 In 1971, he co-invented the Gamma-Electric cell with George H. Miley. The Gamma-Electric cell converts high radiation energy (gamma rays) to electricity. Due to his co-invention of the Gamma-Electric cell, Sampson is mistakenly cited as the inventor of the cell phone. Sampson also holds several other patents focusing on the development of rocket propellants (fuels). In 1973, Sampson invented an improved process of case bonding of propellant grains within a rocket chamber. Dr. Sampson is married to Dr. Laura Howzell Young-Sampson, who is an Associate Professor in the College of Education, California State University, San Bernardino, California. Dr. Sampson is now retired. Keith Clayton Holmes, Black Inventors: Crafting Over 200 Years of Success (Brooklyn, New York: Global Black Inventor Research Projects, 2008), p 65; Vivian O. Sammons, Blacks in Science and Medicine (New York: Hemisphere Publishing Corporation, 1980), p 208; “Henry T. Sampson—Our People Purdue Engineering,” https://engineering.purdue.edu/Engr/People/Awards/Institutional/DEA/DEA_2013/Sampson; Henry T. Sampson and George H. Miley, G.H. Gamma-Electric Cell. U.S. Patent 3,591,860, July 6, 1971; Henry T. Sampson, H.T. Process for Case Bonding Cast Composite Propellant Grains. U.S. Patent 3,734,982, May 22, 1973; Glenn E. Rodgers, Descriptive Inorganic, Coordination, and Solid-State Chemistry, 2nd Edition (Belmont, California: Brooks/Cole Cengage Learning, 2002). York: Hemisphere Publishing Corporation, 1980), p 208; “Henry T.
Henry T. Sampson and George H. Miley, G.H. Gamma-Electric Cell. U.S.